There are various rooms in your home that benefit from having closet space. Depending on the area of your home, a closet may be used multiple times throughout the day. Without a good organization system, even a spacious walk-in closet will become messy. 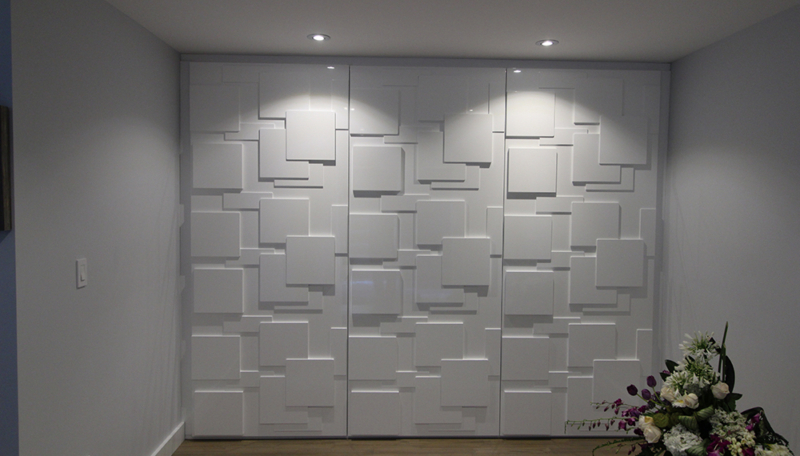 Experts at Euroline Kitchens Ltd. can design a customized closet organizer to help you get the most out of your space. You can now shop for anything between delicate hand-crafted accessories to designer footwear, without having to worry about keeping them in good shape. We often find customers wondering what a closet organizing system is. It is nothing complicated. It’s a system that helps you arrange your clothes and accessories, so they are easy to access. Several racks, rods and drawers that help you store articles of different sizes comprise it. When everything is just where you expect them to be, you needn’t go hunting for anything while you’re in a jiff! 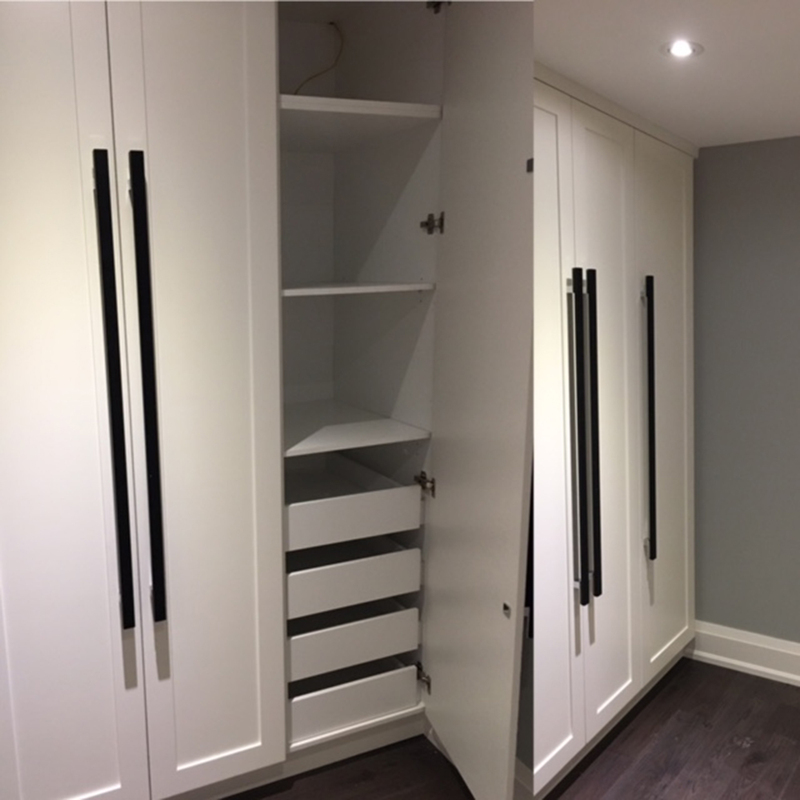 Order a customized closet organizer in Mississauga! Euroline provides diverse storage products required to keep things organized and accessible. 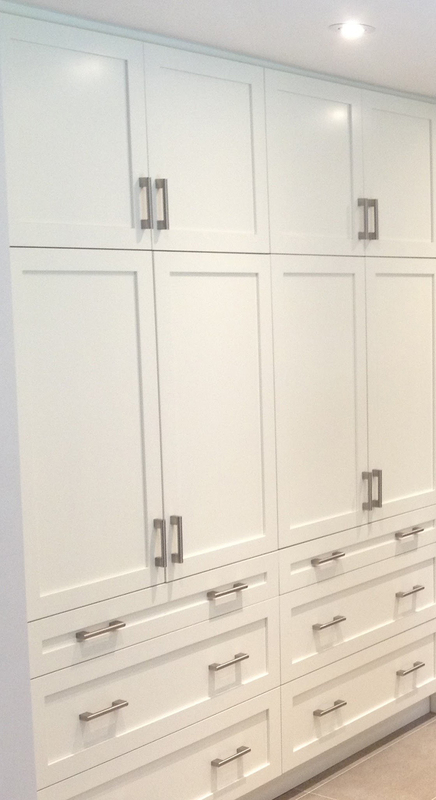 We are one of the most trusted cabinet and closet makers in Mississauga offering products and installation services at decent rates. We have satisfied homeowners in the GTA with walk-in, reach-in, floor-mount and wall-mount closets. 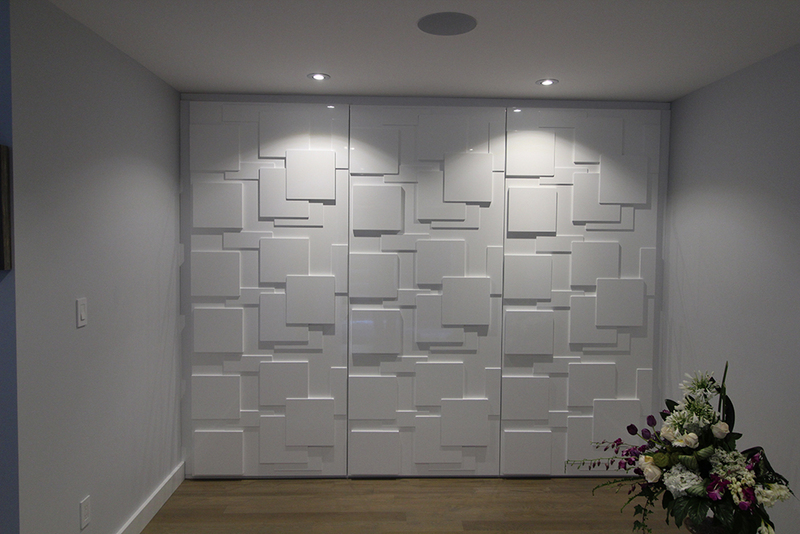 In short, we render the finest value-for-money storage solutions for minimalistic homes, condos and studio apartments. Reach us for custom cabinetry, wall units, kitchen remodeling and bathroom redesigning services in and around Mississauga. Are Organizers Ideal for Small Rooms? Yes, definitely they are! If you’re looking to get rid of that much-detested chaotic look of your one-bedroom apartment, storage unit makers at Euroline Kitchens can help you with a chic organizing system so you can keep things in order. Can you modify an existing closet or wardrobe? If you’re looking to expand a small closet or divide a wardrobe, we can help. A customized closet organizer can be designed with your specific needs in mind. You can choose to have multiple compartments to segregate everything, including small things such as trinkets, watches, belts and scarves. Do you offer free consultation and estimates? Yes, we do. Before planning your project, visit our showroom for a free consultation. We’ll assist you with ideas and provide the closest quote. Call us at (905) 828-1500.